For other uses, see Slave ship (disambiguation). Slave ships were large cargo ships specially converted for the purpose of transporting slaves. Such ships were also known as "Guineamen" because their trade involved trafficking to and from the Guinea coast in West Africa. In the early 1600s, more than a century after the arrival of Europeans to the Americas, demand for unpaid labor to work plantations made slave-trading a profitable business. The peak time of slave ships to the Atlantic passage was between the 18th and early-19th centuries, when large plantations developed in the southern colonies of North America. To ensure profitability, the owners of the ships divided their hulls into holds with little headroom, so they could transport as many slaves as possible. Unhygienic conditions, dehydration, dysentery and scurvy led to a high mortality rate, on average 15% and up to a third of captives. Often the ships carried hundreds of slaves, who were chained tightly to plank beds. For example, the slave ship Henrietta Marie carried about 200 slaves on the long Middle Passage. They were confined to cargo holds with each slave chained with little room to move. The most significant routes of the slave ships led from the north-western and western coasts of Africa to South America and the south-east coast of what is today the United States, and the Caribbean. As many as 20 million Africans were transported by ship. The transportation of slaves from Africa to America was known as the Middle Passage of the triangular trade. The owners of slave ships did their best to hold as many enslaved people as possible by cramming, chaining, and selectively grouping slaves to maximize space and make travel more profitable. Slaves on board were underfed and treated brutally causing many to die before even arriving at their destination; dead or dying slaves were dumped overboard. These people were not treated as human: living like animals throughout their long voyage to the New World. It took an average of one to two months to complete the journey. The enslaved people were naked and shackled together with several different types of chains, stored on the floor beneath bunks with little to no room to move due to the cramped conditions. Some captains would assign Slave Guardians to watch over and keep the other slaves in check. They spent a large portion of time pinned to floorboards which would wear skin on their elbows down to the bone. Firsthand accounts from former slaves, such as Olaudah Equiano, describe the horrific conditions that enslaved people were forced to endure. The Slave Trade Act 1788, also known as Dolben's Act, regulated conditions on board British slave ships for the first time since the slave trade started. It was introduced to the United Kingdom parliament by Sir William Dolben, an advocate for the abolition of slavery. For the first time, limits were placed on the number of enslaved people that could be carried. Under the terms of the act, ships could transport 1.67 slaves per ton up to a maximum of 207 tons burthen, after which only one slave per ton could be carried. The well-known slave ship Brookes was limited to carrying 454 people; it had previously transported as many as 609 enslaved. Olaudah Equiano was among the supporters of the act but it was opposed by some abolitionists, such as William Wilberforce, who feared it would establish the idea that the slave trade simply needed reform and regulation, rather than complete abolition. Slave counts can also be estimated by deck area rather than registered tonnage, which results in a lower number of errors and only 6% deviation from reported figures. This limited reduction in the overcrowding on slave ships may have reduced the on-board death rate, but this is disputed by some historians. In the 18th and early 19th centuries, the sailors on slave ships were often poorly paid and subject to brutal discipline and treatment. Furthermore, a crew mortality rate of around 20% was expected during a voyage, with sailors dying as a result of disease, flogging or slave uprisings. While conditions for the crew were far better than those of the enslaved people, they remained harsh and contributed to a high death rate. Sailors often had to live and sleep without shelter on the open deck for the entirety of the Atlantic voyage as the space below deck was occupied by slaves. Disease (malaria or yellow fever) was the most common cause of death among sailors. A high crew mortality rate on the return voyage was in the captain's interests as it reduced the number of sailors who had to be paid on reaching the home port. Crew members who survived were frequently cheated out of their wages on their return. These aspects of the slave trade were widely known; the notoriety of slave ships amongst sailors meant those joining slave ship crews did so through coercion or because they could find no other employment. This was often the case for sailors who had spent time in prison. The African slave trade was outlawed by the United States and the United Kingdom in 1807. The applicable UK act was the Abolition of the Slave Trade Act and outlawed the slave trade throughout the British Empire. The US law took effect on 1 January 1808. After that date, all US and British slave ships leaving Africa were legally pirate vessels subject to capture by the United States Navy or Royal Navy. In 1815, at the Council of Vienna, Spain, Portugal, France, and the Netherlands also agreed to abolish their slave trade. 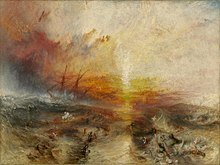 Between 1807 and 1860 British vessels would capture slave ships and free the slaves; they captured 1,600 ships and freed 160,000 slaves in this time. After abolition, slave ships adopted quicker, more maneuverable forms to evade capture by naval warships, one favorite form being the Baltimore Clipper. Some had hulls fitted with copper sheathing. This was very expensive work that at this time was only commonly done to Royal Navy vessels; however, it increased speed by preventing the growth of marine weed on the hull, which would otherwise cause drag. The speed of slave ships made them attractive ships to repurpose for piracy, and also made them attractive for naval use after capture; USS Nightingale and HMS Black Joke were examples of such vessels. HMS Black Joke had a notable career in Royal Navy service and was responsible for capturing a number of slave ships and freeing many hundreds of slaves. There have been attempts by descendants of African slaves to sue Lloyd's of London for playing a key role in underwriting insurance policies taken out on slave ships bringing slaves from Africa to the Americas. 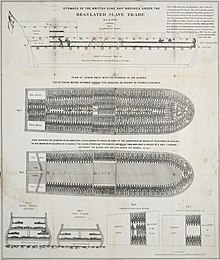 Diagram of a four-deck large slave ship. Thomas Clarkson: The cries of Africa to the inhabitants of Europe, 1822? The slave-ship Veloz, illustrated in 1830. It held over 550 slaves. Antelope, Spanish slave ship captured near Florida in 1820 with 283 slaves aboard, leading to The Antelope case. Aurore, along with Duc du Maine, the first French slave ships that brought the first slaves to Louisiana. La Amistad, general-purpose cargo ship that also carried slaves on occasion. A successful slave revolt on ship gave rise to a case that reached the Supreme Court in United States v. The Amistad. Brookes, sailing in the 1780s. City of Norfolk, fitted out in New York City by Albert Horn. Clotilda, burned and sunk at Mobile, in 1859 or 1860. Cora, captured by USS Constellation in 1860. Creole, involved in the United States coastwise slave trade and the scene of a slave rebellion in 1841, leading to the Creole case. Desire, first American slave ship. Duc du Maine, along with Aurore, the first French slave ships that brought the first slaves to Louisiana. Elisabeth, sailing from Jamaica for West Africa. Esmeralda, captured 1 November 1864 off Loango, West Coast of Africa, by HMS Rattler (1864) and Taken to St. Helena to prize court by C.G. Nelson midshipman in command. Fredensborg, Danish slave ship, sank in 1768 off Tromøya in Norway, after a journey in the triangular trade. Leif Svalesen [da] wrote a book about the journey. Gallito, Spanish slave ship carrying 136 Africans when captured by HMS Nimble 16 November 1829. Guerrero, Spanish slave ship wrecked in the Florida Keys in 1827 carrying 561 Africans. Hannibal, an English slaver of the Atlantic slave trade. The Hawk, The Hawk sailed for Calabar, with instructions to buy 340 slaves. Hebe, Portuguese slave ship carrying 401 Angolans when captured by HMS Nimble 13 July 1832. Henrietta Marie, sank in 1700 near Marquesas Keys, Florida, excavated in 1980s. Hermosa, a schooner whose 1840 grounding in the Bahamas led to a controversy between the US and Britain over the 38 slaves who had been on board the ship. Isabella, British slave ship that brought the first 150 African slaves to the American port of Philadelphia in 1684. Joaquina, Spanish slave ship carrying 348 Africans when captured by HMS Nimble 10 November 1833. Josefa, Spanish schooner carrying 206 slaves when captured by HMS Monkey 7 April 1829. Jesus of Lübeck, a 700-ton ship used on the second voyage of John Hawkins to transport 400 captured Africans in 1564. Queen Elizabeth I was his partner and rented him the vessel. 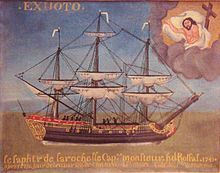 King David, sailing from St Christophers, on St Kitts in the Caribbean 1749. La Concord, a slave ship captured by the pirate Blackbeard (Edward Teach), used as his flagship and renamed Queen Anne's Revenge. Run aground in June 1718. La Negrita, Spanish slave ship carrying 189 Africans when captured by HMS Nimble May 1833. Lord Ligonier. See Roots: The Saga of an American Family by Alex Haley. Don Francisco, a slave ship captured in 1837. Sold as a colonial trader and renamed James Matthews. Excavated by Western Australian Museum in 1974. Madre de Deus, 1567. John Hawkins captured this ship and transported 400 Africans. Manuela, built as clipper ship Sunny South, captured by HMS Brisk in Mozambique Channel with over 800 slaves aboard. Manuelita, Spanish slave ship carrying 485 Africans when captured by HMS Nimble 7 December 1833. Meermin, a Dutch East India Company ship active between southern Africa and Madagascar, whose final voyage in 1766 ended in mutiny by the slaves: around half the crew and nearly 30 Malagasy died, and the ship was destroyed. Midas, 360-ton Spanish slave ship captured by HMS Monkey 27 June 1829. Midas had left Africa in April 1829 with 562 Africans, but only 369 were still alive when she was captured, and 72 more died of "smallpox, diarrhea & scurvy" before Monkey and HMS Nimble could take Midas into Havana. Nightingale, clipper ship captured by Saratoga near Cabinda, Angola in 1861 with 961 slaves aboard. Pons, American-built barque captured by USS Yorktown on 1 December 1845 with 850–900 slaves. 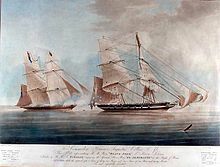 Providencia, Spanish brig carrying 400 slaves when captured by HMS Monkey in 1829. São José Paquete Africa, a Portuguese slave ship which sank off the coast of South Africa in 1794 killing over 200 of the enslaved men and women. Tecora, Portuguese slave ship that transported the slaves who would later revolt aboard La Amistad. Triton captured by USS Constellation in 1861. Trouvadore, wrecked in Turks and Caicos 1841. 193 slaves survived. Project commenced in 2004 to locate the ship. Wanderer, formerly last slave ship to the U.S. (November 1858) until Clotilda reported in 1859 or 1860. Wildfire, a barque, arrested off the Florida coast by the US Navy in 1860; carrying 450 slaves. Whydah Gally, a ship that transported cargo, passengers, and slaves. Captured by the pirate Captain Samuel "Black Sam" Bellamy and used for piracy, eventually grounded during a Nor'easter at Cape Cod and sunk in April 1717. Zong, a British slave ship infamous for the 1781 massacre of 132 sick and dying slaves who were thrown overboard in an attempt to guarantee that the ship's owners could collect on their cargo insurance. ^ Native Americans Prior to 1492. Historycentral.com. Retrieved on 3 December 2015. ^ "History: The Middle Passages". The Middle Passage – A Slave Ship Speaks: The Wreck of the Henrietta Marie. Mel Fisher Maritime Heritage Society, Inc. Archived from the original on 9 November 2007. Retrieved 16 January 2018. ^ Shillington, Kevin (2007). "Abolition and the Africa Trade". History Today. 57 (3): 20–27. ^ Cohn, Raymond (1985). "Deaths of Slaves in the Middle Passage". Deaths of Slaves in the Middle Passage. 45 (3): 685–692. doi:10.1017/s0022050700034604. JSTOR 2121762. ^ Walvin 2011, p. 27. ^ Hochschild 2005, p. 140. ^ Garland, Charles; Klein, Herbert S. (April 1985). "The Allotment of Space for Slaves aboard Eighteenth-Century British Slave Ships". The William and Mary Quarterly. 42 (2): 238. doi:10.2307/1920430. ISSN 0043-5597. JSTOR 1920430. ^ Haines and Shlomowitz 2000, p. 58. ^ a b c Hochschild, Adam (2005). Bury the Chains: Prophets, Slaves, and Rebels in the First Human Rights Crusade. Houghton Mifflin. p. 114. ISBN 978-0618104697. ^ Bernard Edwards; Bernard Edwards (Captain.) (2007). Royal Navy Versus the Slave Traders: Enforcing Abolition at Sea 1808–1898. Pen & Sword Books. pp. 26–27. ISBN 978-1-84415-633-7. ^ a b Hochschild, Adam (2005). Bury the Chains: Prophets, Slaves, and Rebels in the First Human Rights Crusade. Houghton Mifflin. p. 94. ISBN 978-0618104697. ^ Marcus Rediker (4 October 2007). 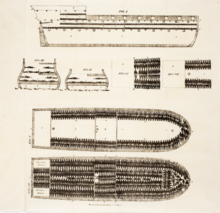 The Slave Ship: A Human History. Penguin Publishing Group. p. 138. ISBN 978-1-4406-2084-3. ^ "Slave Ships – The Last Slave Ships". Melfisher.org. Archived from the original on 13 November 2007. Retrieved 16 January 2018. ^ Sadler, Nigel (March 2008). "The Trouvadore Project: The Search for a Slave Ship and its Cultural Importance". International Journal of Historical Archaeology. 12 (1): 53–70. doi:10.1007/s10761-008-0056-8. ISSN 1092-7697. ^ McCarthy, Mike (2005). Ships' Fastenings: From Sewn Boat to Steamship. Texas A&M University Press. p. 108. ISBN 978-1585444519. ^ "Real Pirates: The Untold Story of the Whydah from Slave Ship to Pirate Ship – National Geographic". Events.nationalgeographic.com. 14 December 2012. Archived from the original on 21 October 2012. Retrieved 30 December 2012. ^ "Slave descendants to sue Lloyd's". BBC News. 29 March 2004. Retrieved 8 September 2018. ^ "Brooks Slave Ship". E. Chambre Hardman Archives. Archived from the original on 13 October 2007. Retrieved 28 February 2008. ^ Why the Tombs for Slave Trade Execution. Correctionhistory.org (30 November 1907). Retrieved on 2015-12-03. ^ "Encyclopedia". Retrieved 3 July 2011. ^ "Bristol Slavery Muster Rolls for The Hawk". Retrieved 26 December 2018. ^ "Bristol Slavery Muster Rolls for The King David". Retrieved 26 December 2018. ^ "The Slave Mutiny on the slaver ship Meermin". Cape Slavery Heritage. 26 March 2008. Retrieved 14 October 2011. ^ Swanson, Gail (2005). Slave Ship Guerrero. West Conshohocken, Pennsylvania: Infinity Publishing. pp. 10–11, 130–31. ISBN 0-7414-2765-6. ^ Gilliland, C. Herbert (2003). "Deliverance from this Floating Hell". Naval History. 17 (48–51): 20–27. ^ "Slave Ship Trouvadore Website". Turks & Caicos National Museum and Ships of Discovery. Retrieved 1 October 2012. ^ Harper's Weekly, 2 June 1860, p344. Online at The Slave Heritage Resource Center accessed 3 July 2006. Baroja, Pio (2002). Los pilotos de altura. Madrid: Anaya. ISBN 978-84-667-1681-9. Hochschild, Adam (2005). Bury the Chains. London: Pan Books. Rediker, Marcus (2007). The Slave Ship: A Human History. New York: Viking. ISBN 978-0-670-01823-9. Archived from the original on 31 March 2012. Walvin, James (2011). The Zong: A Massacre, the Law and the End of Slavery. New Haven & London: Yale University Press. ISBN 978-0-300-12555-9. Wikimedia Commons has media related to Slave ships.